Shaded by pines on the edge of a campsite in the Dordogne, this little shepherds-hut style cabin offers a romantic snug for two. Located on the outskirts of the campsite, and nestled amongst the trees, these Roulotte style Woodland Cabanes are a little haven of peace and tranquility. 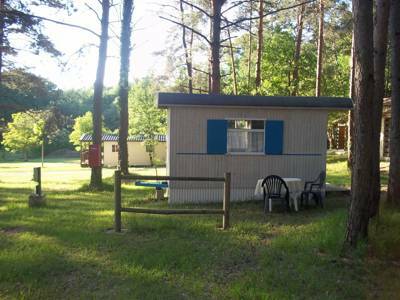 Enjoy the great outdoors within the comfort of this cute Cabane perfect for a couple, and comes fully equipped. The sanitary blocks are a short stroll away. Camping du Bas Meygnaud is peaceful and calm with a real family friendly vibe. With an organic garden and beehive, you can enjoy these tasty treats in your own cooking, or you can enjoy the locally sourced cooking on site and even the wood-fired pizzas are all hand crafted. During the high season - July & August, the local bakery delivers freshly baked bread to the campsite - ensuring a delicious start to your day! The activities to keep the little ones amused are endless: swimming pool, play park, volley ball, badminton, table tennis, boules etc... bikes can also be hired on site for you to enjoy exploring some of the nature trails around the campsite, taking you through forests or by lakes, there is plenty to discover. For those searching for a little more adrenaline you can enjoy rock climbing, canoeing, mountain biking or hiking in the surrounding hills. The Parc Regional Perigord-Limousin, is known for its green landscapes, but also its culture and history with towns such as Bergerac, Sarlat and Perigueux to explore and visit. The truffle museum in Sorges is a must for any mushroom aficionado! Music nights in the high season make for a sociable soirée, where you can either sit back and enjoy the music, or get involved by bringing your own instrument to play! A stay at Camping du Bas Meygnaud will leave you and the family feeling revived and relaxed, ensuring everyone leaves with a smile on their face! Our campsite is situated in the heart of the Dronne Valley. Brantôme "The venise of the Périgord" is just 4km away. Camping du Bas Meygnaud is quiet and shady with 50 pitches. We promote respect for both the environment and fellow campers. From the campsite there are several routes and pathways for cycling and walking. Forests, hills, lakes, rivers and rocks provide a lot of natural activities. Locally there is plenty to do: You can visit the botanic garden of Brantôme, Alaije; there is a truffel museum in Sorges, and several water mills in the area where you can learn how to make flour and walnut oil; Brantôme "la Venise de Périgord" has a Benedictine abbey; and, of course, there are the famous caves of Lascaux. At the campsite you will also find bike rental, a swimmingpool, a playground, a volleyball court, badminton and table tennis, plus a boules pitch. 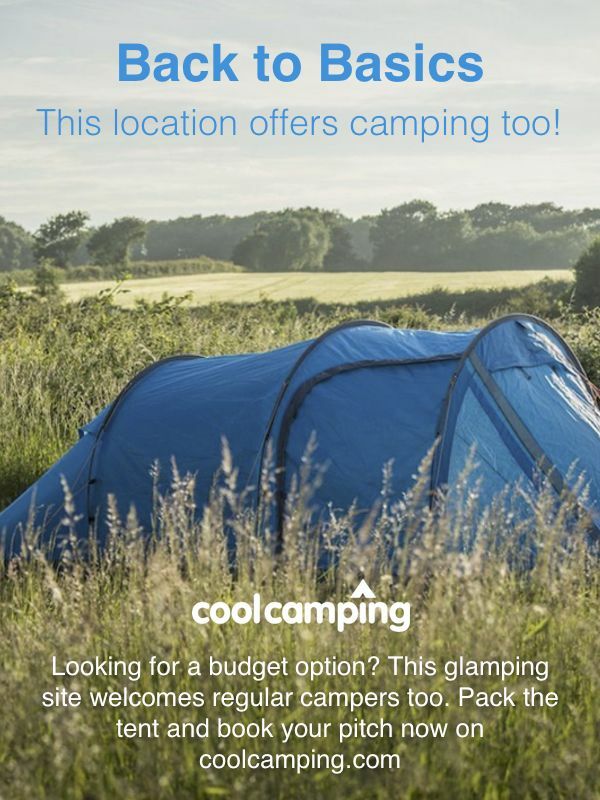 50 tent pitches, 2 furnished chalets, 2 mobile homes and tents available to rent. Modern and clean bathroom facilities (showers, sinks, flushing loos) and a baby changing room. Reception where you can find information on the local area, including sporting activities and cultural events. Swimming pool, bike rental, playground, volleyball court, badminton, table tennis and jeu de boules. Grocery shop, bar, restaurant, barbeque and Wi-Fi. Organic garden, herb garden and beehive for campers to visit. Sometimes known as the ‘Venice of the Dordogne’, Brantôme is a lovely little town near the northern edge of the region. Perhaps this billing is exaggerated, however the town has an undeniably charming mix of medieval and Renaissance architecture to admire. On the banks of the Dromme river (just outside Brantóme) lies Les Jardins Tranquille, a lovely garden, which offers exactly what it says – tranquility. The garden's nine acres have large, English-style borders, shady wooded areas and a lovely stretch along the edge of the river. Sorges is a small village not far from Perigueux with a particularly attractive church, which sits on a pleasant square. Sorges is known as the 'truffle capital' and boasts a recently renovated museum (0033 553 059 011), offering an interesting and playful look at the world of truffles. There’s an onsite restaurant, serving regional food and a variety of snacks. Fresh bread from the local baker is delivered each morning in July and August, and campers can also make their own pizza. Nearby Brantôme boasts plenty of excellent eateries, including Hostellerie Du Perigord Vert (0033 553 057 058); Cote Riviere (0033 553 466 030) – with tables over looking the pretty River Dronne; and La Recre Gourmande (0033 553 457 704) where Colette and Yann welcome you to their beautiful 17th-century home. From Paris there are 2 routes: take the A20 to Limoges then the N21 to Thiviers. In Thiviers follow the signs to Brantôme (D707, D78). From Brantôme follow the signs to Périgueux (D939) and 4 kms after Brantôme turn right at Laserre. Or, take the A10 Bordeaux, until Poitiers, then the N10 to Angoulème. After Angoulème follow the D939 towards Périgueux. The road will take you on the Brantôme by-pass. 4 kms after Brantôme turn right at Laserre. From Bordeaux: take the A89 Brive-La Gaillarde to exit 14 then follow the signs to Périgueuxand then Brantôme (D939). 4 kms before Brantôme turn left at Laserre. From Clermont Ferrand: take the A89 to Périgueux, to exit 15 then follow the signs to Périgueux, Brantôme and then Brantôme (D939). 4 kms befor Brantôme turn left at Laserre. 50 x 110 m² pitches on a grassy, sloping ground. Some spaces with shade and some without.